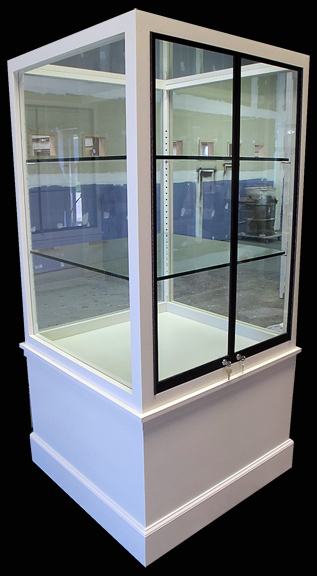 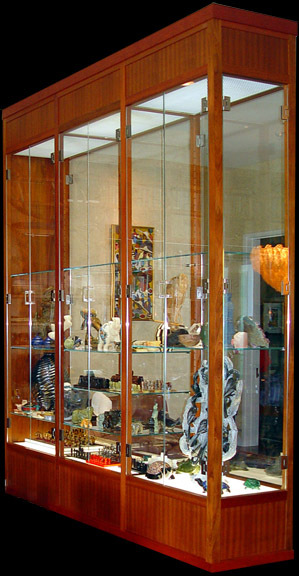 Below: Jatoba & Starphire glass 12' tall display case with lighting & static fan system. 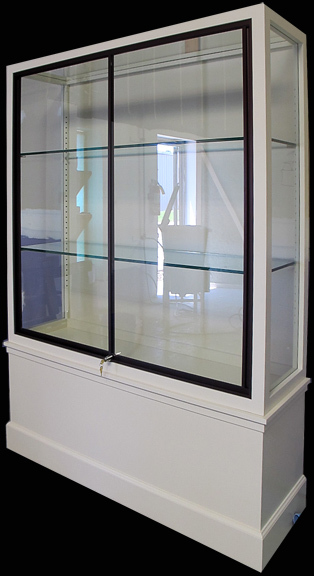 Internal Alllusett structural system for added strengths. 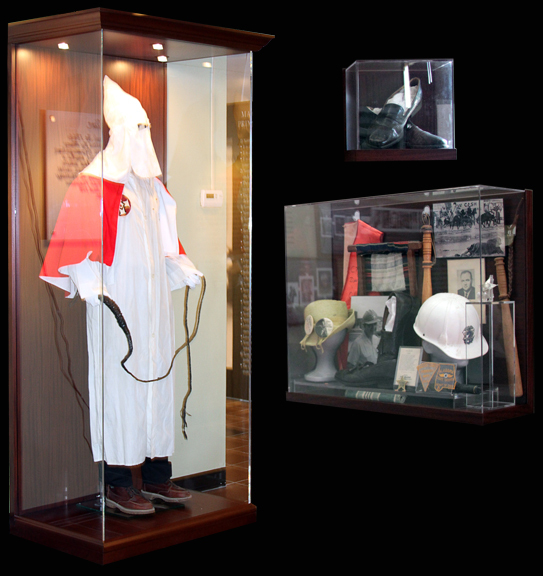 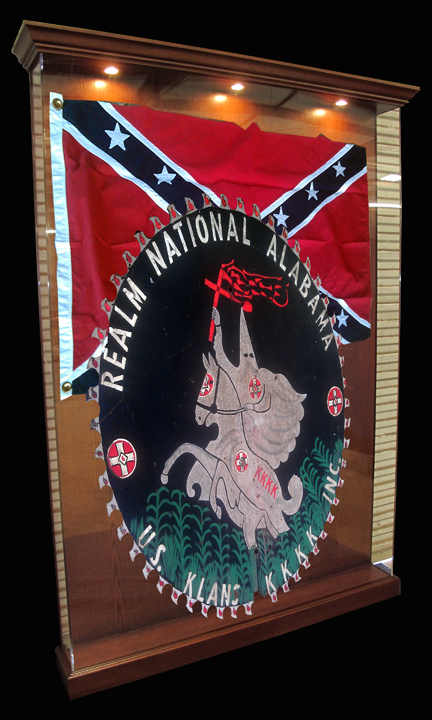 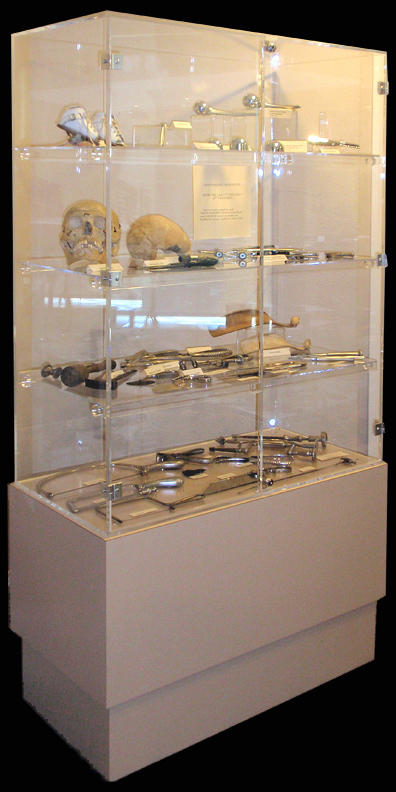 The National Voting Rights Museum in Selma, Alabama - custom African Mahogany units with glass, acrylic, metal components; large format printing & laminations, lighting.